The need for volunteers within our organization is constant. We are always looking for good people who are interested in helping out with different programs. Involves providing transportation to older adults or people with disabilities to and from medical appointments. Involves delivering frozen meals from the Circle to older adults who have ordered them. Visiting seniors in their home who need company. 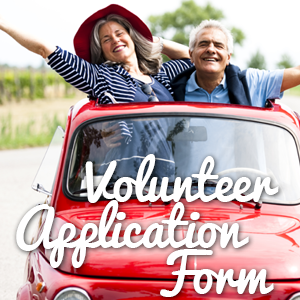 Are you interested in becoming a volunteer at the Circle? Please fill out the application form below and email or fax it in to us. The opportunities are endless and the need is great when it comes to volunteering at the Circle. You can also call and make an appointment with Diane Lester our Volunteer Coordinator to discuss the volunteering opportunities.